A car doesn’t just get us from A to B. It's a place for reflection, space and independence. A place for silence or for talk. Sat side by side, cocooned within this intimate, four-walled space we have precious time to spend with loved ones. This experience is invaluable to everyone. Which is why we believe going for a drive should be accessible to all. It’s more than just a drive. 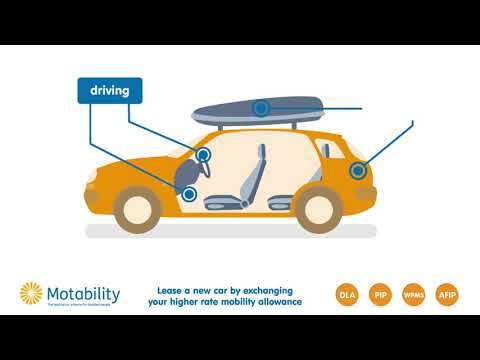 The Motability Scheme offers an all-inclusive package that allows anyone in receipt of either: the Higher Rate Mobility Component of Disability Living Allowance (HMRC DLA), the Enhanced Rate of the Mobility Component of Personal Independence Payment (ERMC PIP), the War Pensioners' Mobility Supplement (WPMS) or the Armed Forces Independence Payment (AFIP), to use their mobility allowance to lease a car, scooter, powered wheelchair or wheelchair accessible vehicle. DLA holder Advance Payment from £0. DLA holder Advance Payment from £99 Advanced Payment. DLA holder Advance Payment from £749 Advanced Payment. The Motability scheme has been changing people’s lives since it started in 1978 and we're are delighted to be among the retailers who support the charity.